One Brush I forgot all about but is now Part of my Daily Routine The ELF COMPLEXION BRUSH. I have had this brush for 2 years now and I have never given it justice on my blog. I Used to use it for Powder but since I have my Lauren Luke Powder Brush doing that job I currently use it with highlighter. It does the job. I Highlight right on top of my blush, making sure to blend it with the blush up to my cheekbones and the bristles are so soft you just cannot not use it. I have washed it at least 10 times the past 2 years and when it comes to shredding I have only had that one or two. No Harsh on the skin at all. 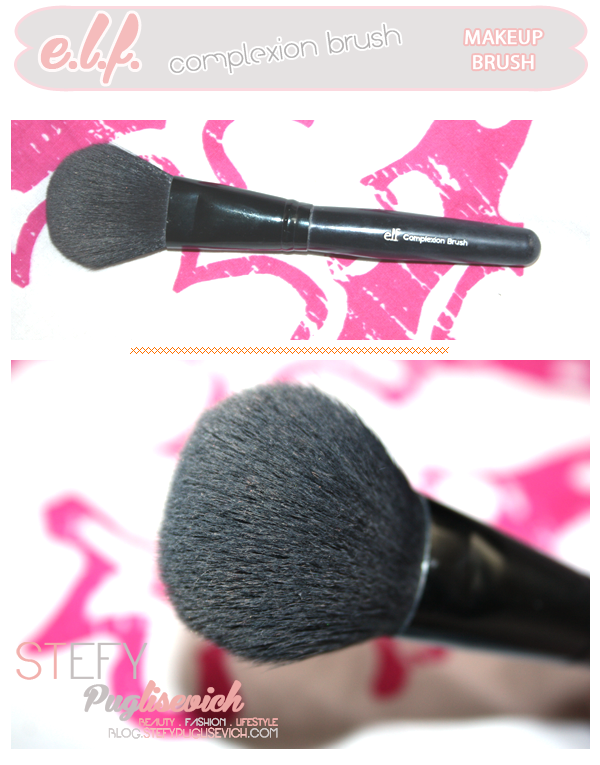 It is the only brush I own from E.L.F but i might consider getting the Angled Blush Brush as I am always on the look out for Contour Brushes and Blush Brushes. DO YOU OWN E.L.F. BRUSHES?